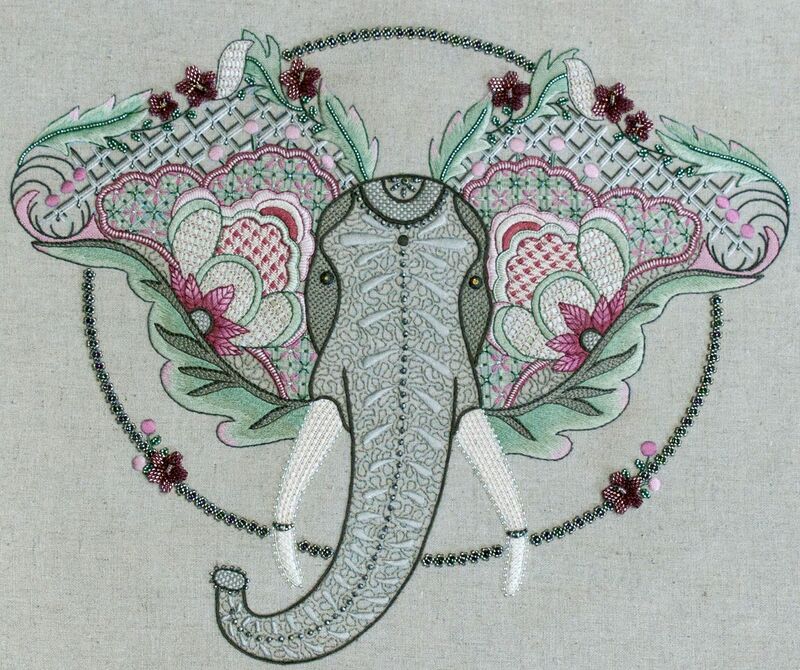 Native to two continents, the African elephant can be identified by its larger ears which, in this project, have been highlighted with Jacobean elements and 3-dimensional bead-work flowers. 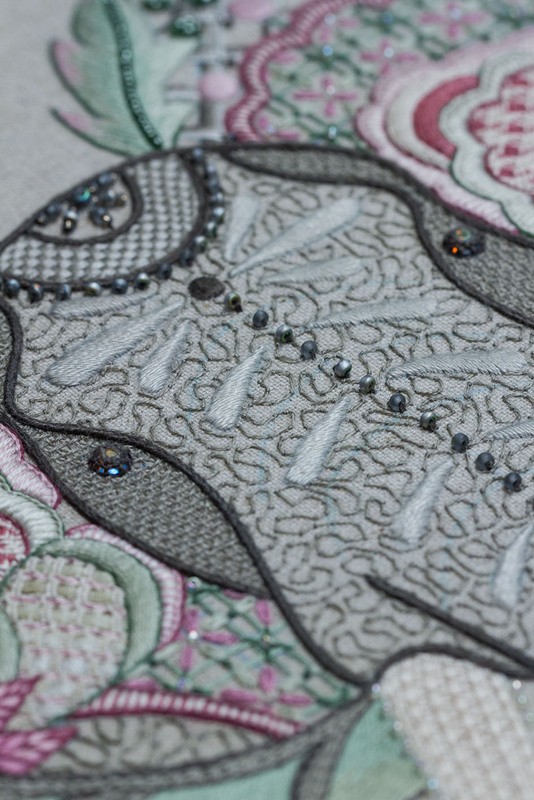 Finished off with a circle of daisy chain, a traditional Zulu bead-work technique, this project measures 315 x 255 mm (12.5 x 10 inches). Line drawing screen-printed in Light Blue ink onto 550 x 450 mm natural colored cotton linen blend basic fabric and 550 x 450 mm off white cotton voile backing fabric. The ink is inedible.